Your eyes, it has been said, are the windows to your soul. It is a shame then, when we age and begin to see those windows obscured by bulging fatty tissue and drooping skin that has lost much of its elasticity. A great deal of looking old and tired has to do with the way the delicate skin around the eyes begins to appear loose, wrinkled, and puffy. Such effects are normal results of the passage of time and can be hereditary, and even those of us with excellent skin-care regimens are eventually subject to aging eyes. Eyelid Surgery, or blepharoplasty, can restore a fresh, youthful appearance to your eyes by a lifting and tucking. The Eyelid Surgery Edgewater and Hoboken residents can count on is found at the Edgewater and Hoboken Cosmetic & Laser Centers, where the refreshed feeling of youth and the restoration of that vibrant look is just a phone call away. When you consider getting Eyelid Surgery, Dr. T.G. Khan, the medical director and chief surgeon at the Edgewater and Hoboken Cosmetic & Laser Centers, will explain the procedure in detail before any decisions are made. He will tell you in detail how small, hidden incisions will be made along the upper eyelid line creases and sometimes along the skin of the outer lower eyelid rim as well. He will explain the procedure of removal of fatty tissue, known as transconjunctival blepharoplasty, and he will detail how the fatty tissue and muscle will be separated from the skin in order to remove exactly what is needed and no more. Dr. T.G. Khan may also recommend performing dot laser resurfacing during your Eyelid Surgery to further eliminate wrinkles and tighten your skin. Whatever his professional recommendation may be for you, he is an expert in eyelid and facial rejuvenation to make you look as young as you feel. Why should I go to the Edgewater and Hoboken Cosmetic Center for Blepharoplasty? There is nothing like taking charge of your life by deciding to do away with the signs of aging, tired eyes. Your outside should, after all, reflect the beauty of your inside, and whether you choose procedures such as BOTOX, IPL therapy, laser skin tightening, or Eyelid Surgery, you know you can put your looks and health in the capable hands of the medical director, Dr. T.G. Khan. With his extensive training and education in both surgical and non-surgical cosmetic procedures and an Outstanding Merit designation from his fellowship in Oculoplastic and Reconstructive Surgery at Albany Medical College, Dr. T.G. Khan is a board-certified eye surgeon and highly a highly trained and qualified professional in his field. Dr. T.G. Khan has over 10 years of experience in offering the very best and latest Eyelid Surgery techniques and innovations. 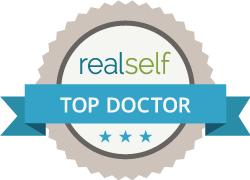 A warm and caring physician who truly understands the importance of cosmetic appearances on our enjoyment of life, Dr. T.G. Khan, at the Edgewater and Hoboken Cosmetic & Laser Centers, welcomes the opportunity to meet you and offer you his finest, highly specialized care. Call us today at 201.313.8899 to set up your initial consultation.